Oyster 82' model yacht - full view with mast and sails. 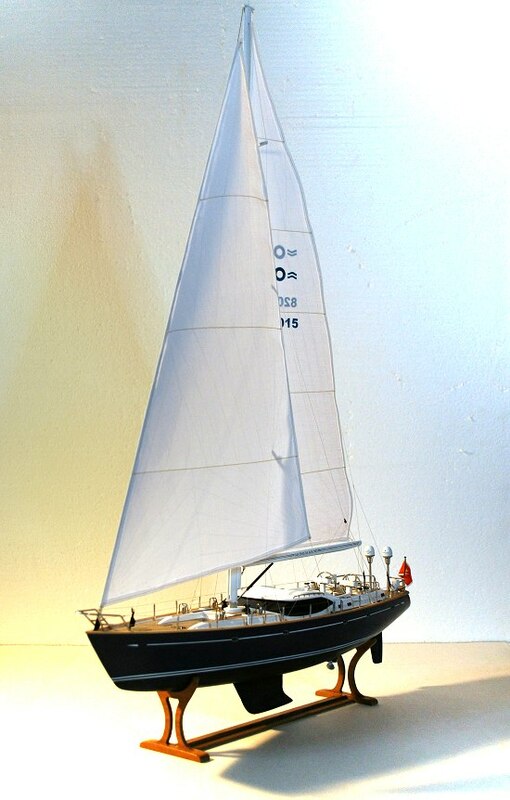 Full image of Oyster 82 model showing her mast and sails. She has an epoxy coated cherry hull, aluminum mast, steel and aluminum railings and fittings as I try to keep the use of plastics to an absolute minimum.